First, fill out our secure form to see if you are eligible for approval in our network of trusted lenders. It only takes a few minutes and there is help each step of the way! Then, a lender will get in touch with you to finalize the details of your approved car loan. Finally, head to the car lot and get the car you deserve! You can shop at any dealership of your choosing. Are you looking for a car but don’t know where to start because you have a bad credit history? Don’t let that get you down! We are your consumer resource for both good and poor credit. We'll help you get a loan despite your credit history. Get approved in 60 seconds or less today! Get a Fast Car Loan Today. You're guaranteed to be accepted in 60 seconds! Are you searching for, "car loans with bad credit & no money down?" Complete Auto Loans can help you get approved today by connecting you with auto loan lenders who understand your credit standing. We help people just like you receive special financing to get a reliable vehicle despite previous poor credit history. Car dealerships with no credit check are near you because we accept 100% of our applicants. There's no fees and you get access to the highest quality auto lenders in the nation when you apply through our loan application portal. Don't let your credit score get in the way of your next car. It doesn't matter where you currently stand with lenders because we will help you choose the best low credit car loan with one simple application form. It only takes about 60 seconds to complete. You can get approval on a no credit check car loan in less than a minute and it is free! We serve all states for car loans. If you're in the market for a new or used car, make sure you take a look at some of the resources we offer. You'll find easy tips, guides, and a car loan calculator that can help you calculate your monthly cost of buying a new car. Follow our used car buying guide and discover the easy way to get your next car without having to go through common beginner pitfalls. Not sure if your car loan will be right for your budget? Take a look at our budget planning tool to learn more about budgeting for your next car. The secret to our refinance process is how quickly and safely our applicants can get a loan. 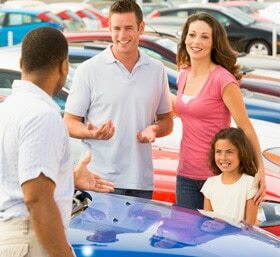 We provide a bad credit auto refinance through our nationwide loan network of qualified auto lenders and car dealers. They have years of experience in dealing with people with bad or no credit history. The key to our network is that we match you perfectly with dealers and lenders who can provide you with a quick refinance solution that's not tagged with huge interest loan fees. This is our guarantee! Let us negotiate on your behalf. Why deal with the hassle of local auto lenders or dealers yourself? We can match your credit score to the lender who can offer you approval for the refinance you want. Getting student car loans does not mean your interest rates will spike forcing you to have little to no cash flow after getting your sweet car. Our goal is to help you avoid that. This is why we pre-screen our auto lenders to match students perfectly so you don't pay more than necessary. Our network has thousands of dealers/lenders who can make financing happen for you. Damaged or a zero credit score often makes college students feel like there is no hope. 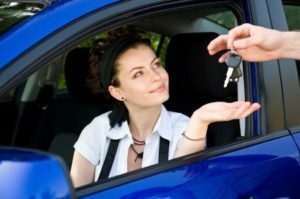 The reason many car shoppers have been satisfied with our services is because we are able to help people who've signed up for college classes turn around their car situation with a lenders who don't check their credit or who don't care. Because we've been doing this since 2010, you can be confident that our first-time car buyer program will deliver the cash you need for the car you want. Our long list of reviews proves we've delivered high-quality first-time car buyer financing for years. Feeling confused when looking for a bad credit car leasing provider? We are here to end your frustration with our huge network of reputed car leasing and sign & drive dealerships. We understand that leasing a car with bad credit is unique for every customer. Why? Well, not every customer has the same financial history. Car leasing and tote the note car lots must provide a unique service to you. 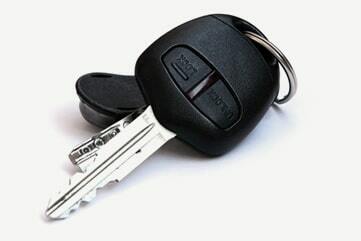 With us, you will secure a car lease without any hassle. So, get all your car leasing related issues and frustrations resolved with a no credit check loan today! Know your credit score before applying for bankruptcy auto loans. The United States Federal Trade Commission’s website offers a free credit report that can help you get an insight into your credit rating. Lenders look for credit history and credit reports before lending you money, especially after a bankruptcy. Your monthly income should be more than $1,500. 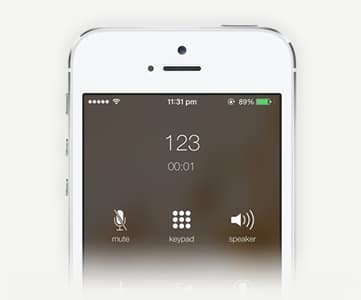 You must have proof of residence and an existing phone number. You must have a credit card statement. All these stipulations are a representation of your capability to make a loan payment after bankruptcy. If you have aweful credit we can connect you to a no credit check lender today to get you the loan you need. Our subprime auto loans service also has a wide network of finance companies. These subprime lenders are experts in handling financing and providing quick services without the typical high subprime auto loan rates or rush fees. We believe in assisting you throughout the loan process; we've prepared a complete guide that will assist you in making the right decision from the start of your subprime car buying journey. If you're a high-risk car shopper that does not mean that you cannot buy a car. Using our high-risk auto loans service will enable you to improve your credit score. We make every possible effort to provide you with the best interest rates and the most viable payment options. We use unique algorithms to deliver you the most efficient and quick no credit check lending services. We stay in contact with the most reputable high-risk lenders from around the United States. As a result, our network will help you find the best high-risk financing to suit your needs. No matter what your credit history says, you will get the best interest rates with the easiest payment methods. Our experts make every possible effort to bring you a magnificent deal. Whether you want to refinance or get a new car, we are always here to help you find what you need. Classic & Exotic car buyers, If you are looking into classic car loans, we will do everything they can to help you improve your credit score. Being one of the nation's most respected classic car financing providers, we ensure that your poor credit does not get in the way of you being a candidate for one of our exotic loans. We have been working for the betterment of our customers for years and our team is capable of tackling most credit issues you come to us with for a classic car loan. 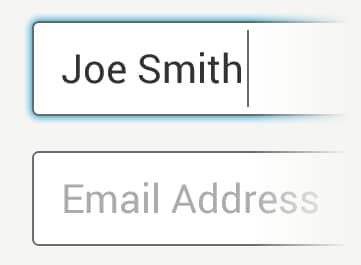 Just fill in our simple loan application! Because of our experience and deep insight into common credit problems, we have successfully served thousands of our clients. We even provide classic loans to people whose credit has not been accepted anywhere else. With us, you can choose the classic car you want as well as pay off your previous loans. Also, our approval process is faster, more secure, and more convenient than ever. In short, our business is the best place to put all your poor credit nightmares to bed. Going to buy a new car? Congratulations! It is always fun to surf through the multitude of swanky car options. Perhaps you're surfing through local websites and have seen the exact car you want? Whether you are looking for a brand new luxury car or a used one, we will be able to get the one that suits you thanks to our network of second chance car loans. It’s easy to hunt down cars, but the main problem is usually the payment. Things get more chaotic when you are in need of a loan. Purchasing a car is a huge investment, so it is better to do your research before moving forward. To get a self-employed car loan you just have to be specific and clear about your needs. For both pre-owned vehicles and new ones, there are different specifications so you need to make a decision based on what is best for you. Buying a pre-owned, classic, or exotic vehicle is straight-forward as it comes with the option to finance without a credit check. You either have to make a down payment or go for a “rent to own” loan. On the whole, we recommend you opt for the cash payment option which is an option for the self-employed. This way, you can afford to get the car you want with a competitive monthly payment plan. When leasing you are required to pay smaller deposits than with financing. You will need to pay a security deposit, the first payment, and the taxes. Usually, this amount is smaller than the second option as you only need to pay the fees relating to the contract. The primary benefit is that you only have to pay for the period of time that you "own" the car. Obviously, financing will cost you more money. But, don’t worry as bad credit auto lenders will make this process easier for you. Having ownership of a vehicle is overwhelming and it is worth paying a bit more for. The monthly payment is more when financing as you have to pay the entire price of the car within the course of the loan terms. This payment option includes taxes, registration charges, and various fees. One of the reasons for choosing to lease is the lack of down payments. Most leasing agreements do not require down payments, therefore, buyers take it as an easy option. Companies require down payments in order to reduce the chances of making a loss. In addition to this, if your credit score shows bankruptcy, repossession, or late payments of any kind, the chances are you will need a down payment. This said, there are certain benefits to making a down payment. Think of it as getting closer to owning the car of your dreams. When financing, if you make a down payment, your monthly payments will be low which, means you are closer to owning your new car. Whenever you go for a loan do not forget to inquire about incentives, especially if you are looking at bad credit auto financing. Most of the time, these incentives are advertised, so you won’t miss the opportunity! If there is no incentive option available, ask about trade-ins. You can use a trade if you are trading in a new vehicle. Many lenders do accept trade-ins as a replacement for down payments. If you do not get an incentive or the option of a trade-in, there is one more choice available to you which is to roll down the down payment on the loan. This situation is labeled as Upside-Down. This means the monthly payment increases and it gets more difficult to finish buying your dream car. However, if this is the only way you can get your new wheels and if you are able to pay the higher monthly fees, it may be the best option for you. We have been serving people in the United States for years and have developed a secure base for customers looking for loans. Buying a car with no credit is easier than ever with us because you are instantaneously a part of our team. Here's a specific list of some of the major city areas we serve. We have made the task of providing financing to our customers hassle-free. Whether you need a used car or wish to own a brand new one, just get in touch with us today. 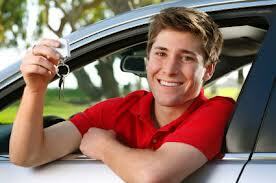 With our bad credit auto loans, you will not just get one of our car loans. We'll set you up with a personal advisor with great resources. Consequently, you'll get quality advice relating to vehicles on our website. Our resources page can help you in your search for the best auto loan with no credit check out there. It will also tell you how to plan your purchase, give you information on financing and refinancing, as well as provide you with safe driving tips. For years, we have maintained our position as one of the most reputable no credit check lenders. With us, you will learn about the various payment methods and be able to make your payments simply, with the best interest rates. Fill in our application form today to get into the car of your dreams!